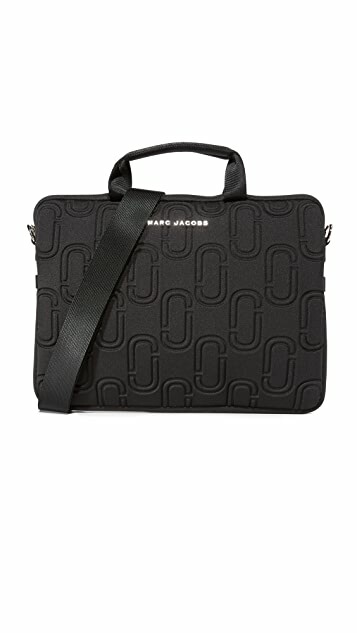 Embossed logo letters detail the front of this neoprene Marc Jacobs laptop sleeve. 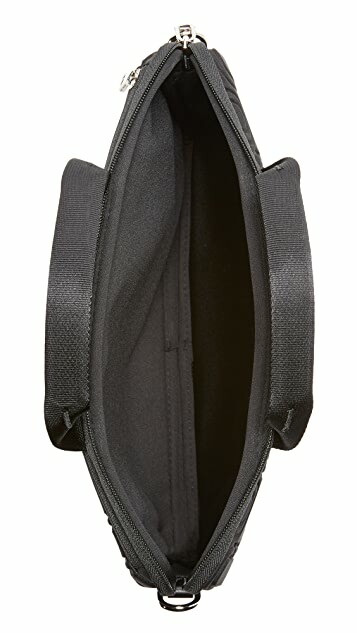 Zip back pocket. 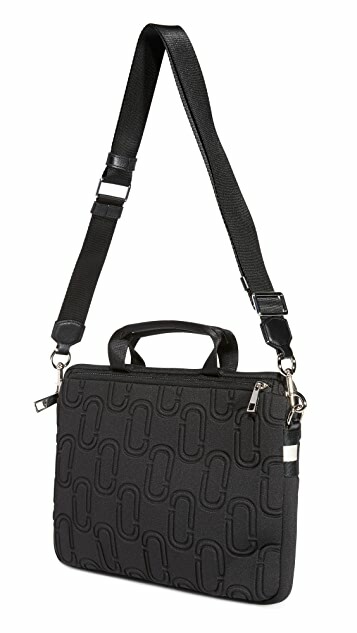 The wraparound zip opens to a padded, lined interior. 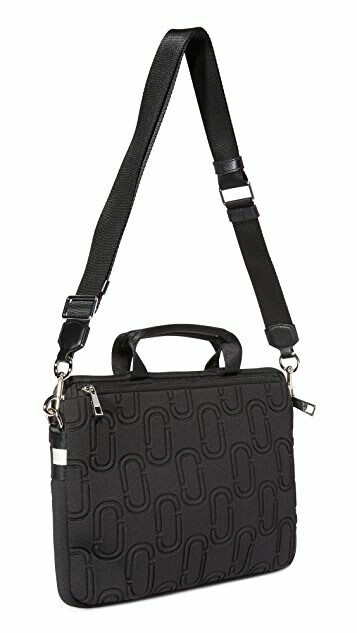 Short handles and optional, adjustable shoulder strap.